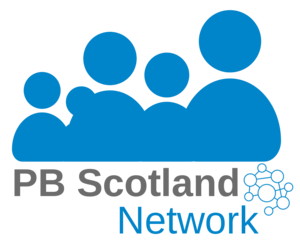 Earlier in the year we asked the 850 strong PB Scotland Network members to tell us their ideas and thoughts about how we can develop participatory budgeting (PB) training in Scotland. More than 120 people took part and offered their insights into what PB training for Scotland might look like, and what we need to do continue to support the development of PB in Scotland. In short, PB Scotland Network members came out strongly in favour of new PB training. Folks were keen on training from a wide range of subjects, with issues around the basics of PB, planning a PB process and ensuring PB is inclusive standing out. There was also a focus on the National Standards for Community Engagement, as well as continuing the development of good practice case studies. Respondents were keen on a range of training methods, with workshops and action learning the favourites. There was also some interest in ‘dry run’ PB voting events. There was broad agreement that training should be offered across all skills levels, as well as training for trainers courses. Network members thought that some kind of accreditation would be a good idea, giving credibility to people who have the skills and time invested. There was also concern that it could create more barriers for people to become involved, meaning a balanced approach should be taken ensuring PB training isn’t too formal. Finally, respondents were clear that flexible locations and a modular programme of training would be important to support people to be involved, with CPD certification and senior manager buy in also important to a lesser degree. There was also a clear desire for funding / expenses costs to be covered, as well as a national awareness raising campaign. These survey results give us a great insight into the needs of the people involved in developing PB in Scotland. We’ll be working with stakeholders to see how we can progress PB training and scope out what this might look like across Scotland in the future. You can download the full training survey results here.